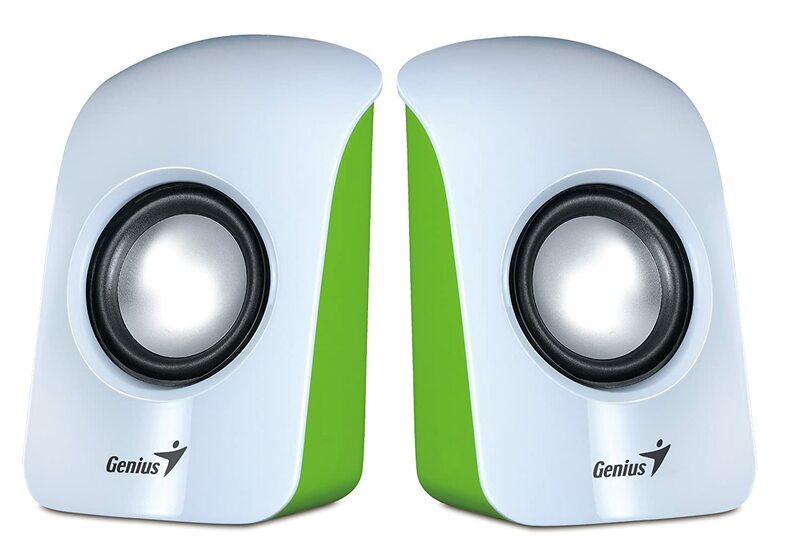 Don't be limited by a power adapter, Genius releases cute mini speakers, SP-U115, whose power is supplied through a USB port from a desktop/notebook. They use 50mm speaker drivers for loud and clear sound performance for a total of 1.5 watts RMS. Four glossy front covers to choose from: shiny black, sapphire blue, ruby red, or grass white. It has a convenient knob on the side to adjust the volume. Just insert the USB plug to a PC/notebook for power and the 3.5mm audio plug into music playback device, such as a PC, notebook, MP3 or CD player and enjoy music with the SP-U115. Two types of cover options with distinct colors are available. Per your personal preference, you can choose either glossy front or matte covers in black, sapphire blue, ruby red or grass white.